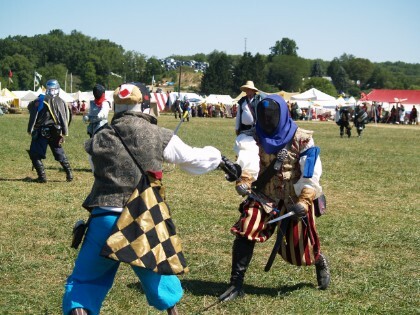 Taken at Pennsic War 39. Lord Jean Maurice in the stripes. Ivarr watches on as Nicholas and Rodrick square off at practice. 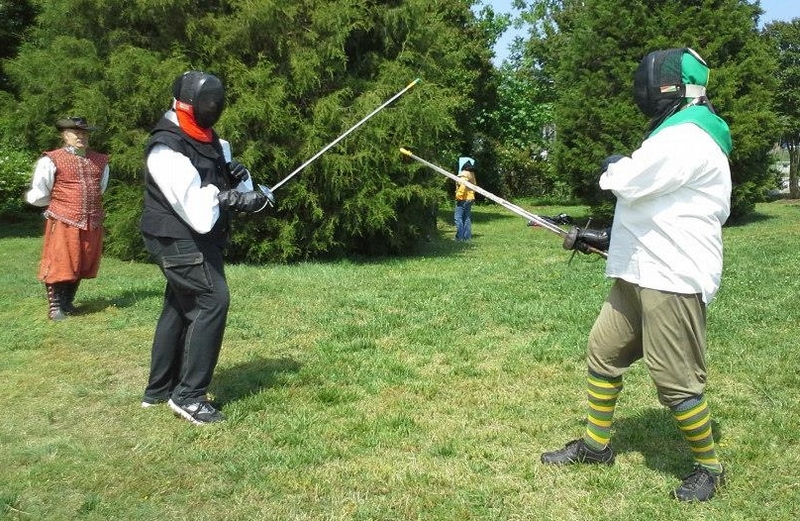 Safety and consideration for our fellow rapier fighters is a foremost concern in SCA rapier play, followed closely by the ideals of Honor, Courtesy, and Chivalry. 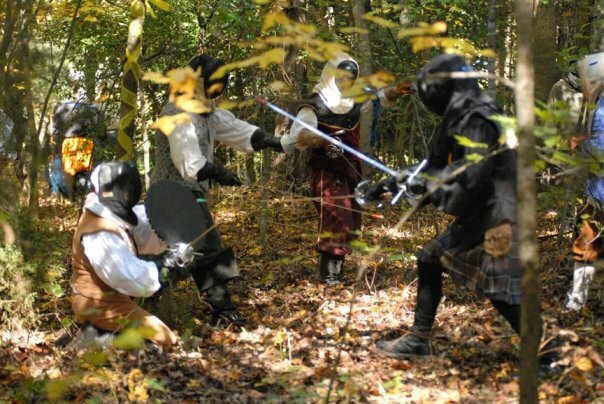 We utilize various types of metal blades and modified modern fencing gear to recreate civilian combats from the late 1400's through the end of the 1600's (such as Shakespeare chronicled in 'Romeo and Juliet'). We differ from Olympic style fencing in our use of slicing cuts, secondary weapons such as daggers, extra swords, cloaks and the like, and non-linear movement; we're not restricted to back-and-forth in a straight line found on a modern Olympic strip! Hits are determined the same way in Heavy Armoured Combat, via the honor system, based on recognition of the blows received. However, our blows are not struck with as nearly as much force as Heavy Armoured combat. 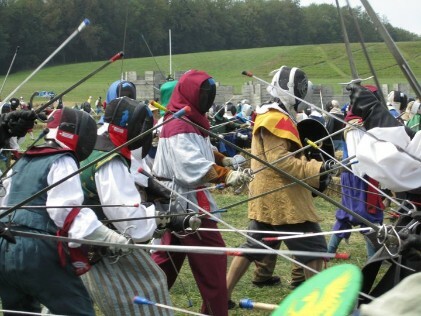 Fencing Activities in the SCA include: tournaments, single bouts, team bouts, and melee fights – and they are held both indoors, outdoors, in mock towns, castles, roads, bridges, woodlands, and fields. Melee fighting in the woods is both challenging and fun!